Spa equipment is easy to setup because the pump can face right or left adapting to the needs of the spa and does not have to stay on the base it is shipped with. As long as the heater is on the Pump DISCHARGE side. 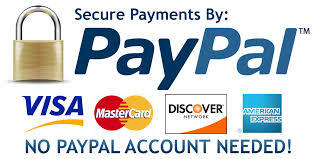 It will not activate the pressure switch if not. The suction line on your spa comes from the Recovery side of the spa meaning the skimmer and drain and goes to the center port of the wetend ( The EYEBALL )on the pump. The Discharge of the same wetend goes to the jets, waterfalls, etc. of the spa by first passing thru the heater and a filter normally. If there is a blower it will have a single line with an air check valve installed. The hose runs up above the water line to help keep water from running back into the blower and the to the jets. No Need to glue the Blower Hose connection. Just insert it and use a set screw if needed. unions are included with the pack but you may find you don’t need them. Always check with your local authorities regarding electrical codes in your area. Some areas require electrical professionals to install some or all of the wiring for hot tubs. Be sure you are in compliance with local laws. All 240-volt controllers require a 4 wire service: 2 hots, neutral and ground. 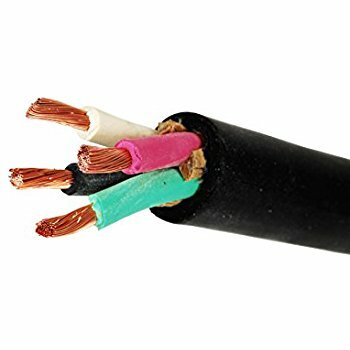 Be certain wire sizes from the main breaker to spa breaker are of the proper size for the length of the run! 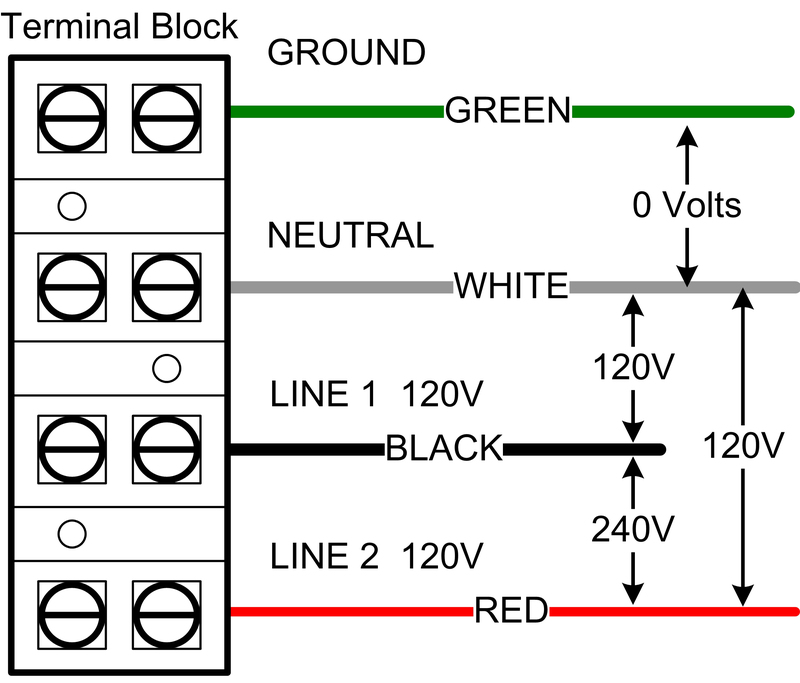 When making connections on the terminal strip make sure all wires are secure and tightly fastened. 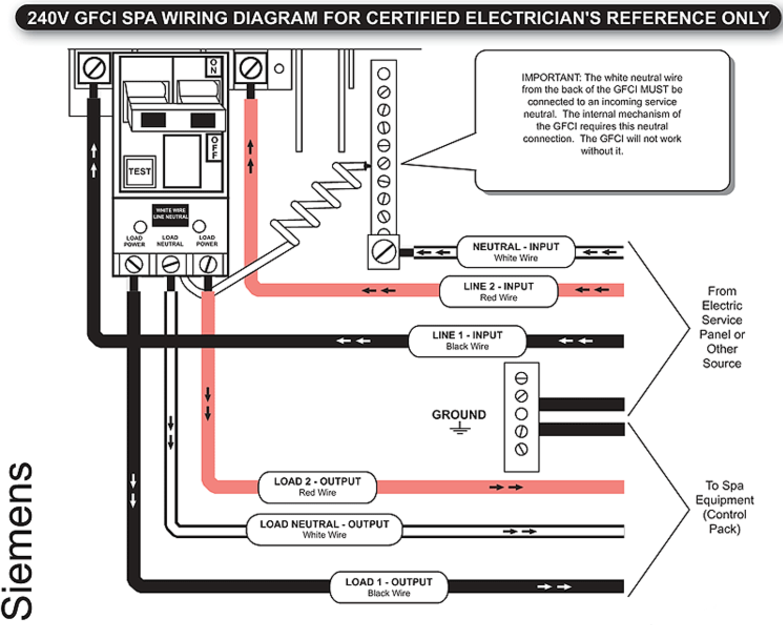 *The NEC now requires GFCI breaker protection on all spa and hot tub circuits wired 240 volts. Fill the tub through the filter area to reduce airlock, to the midpoint of the skimmer. Turn all thermostats to the LOWEST position before starting!